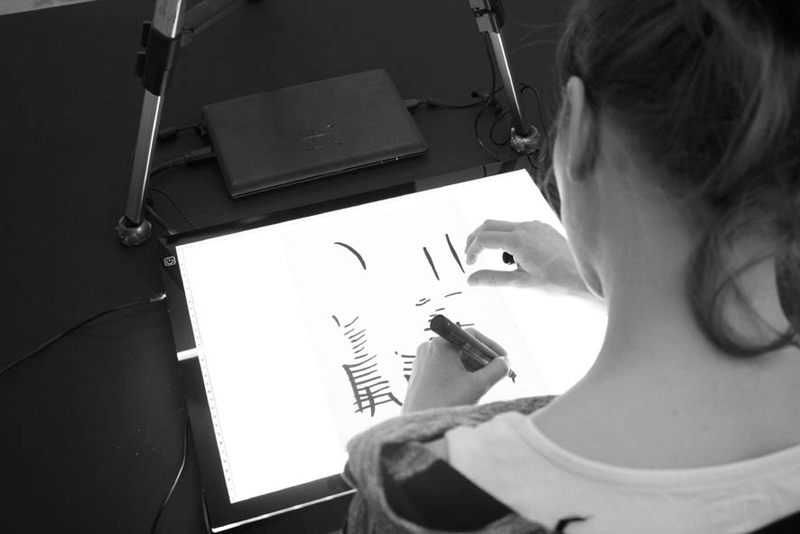 Sound calligraphies are hand-drawn voices which can be sonificated. Based on spectrograms of spoken words a calligraphic sign system is created. The calligraphies become audible during a live performance. Spectrograms of words become hand-drawn sound calligraphies. During the sonification of the hand drawings, speech sound becomes audible - the drawing turns into an artificial voice. Apart from the poetic-performative aspect of “drawing voices”, the constructing role of the brain during speech perception becomes apparent.